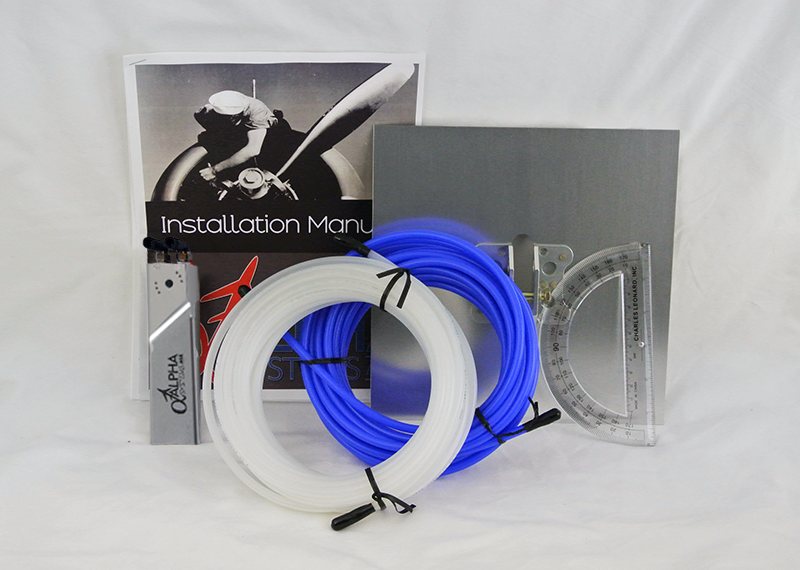 The starter kit was created as a way for our home built customers to purchase the wing components of our AOA kits, without having to purchase an entire kit. This allows them to install wing components prior to buttoning up the wing. Call or email for more information. The starter kit was created as a way for our home built customers to purchase the wing components of our AOA kits, without having to purchase an entire kit. This allows them to install wing components prior to buttoning up the wing. All components in our starter kit can be used with any of our AOA kits. When a starter kit customer is ready to order the remainder of their kit we simply subtract the starter kit items and cost from complete kit purchase. Complete Kit Weight Less than 3.00 lbs. Standard Mounting Plate Dimensions 9" x 9"